Are you tired of all those run-of-the-mill removalists Woolloongabba Services, which present a lot and deliver too little? If yes, you should give Dyno Removalists to handle your relocation needs. Ranked among the best removalists Woolloongabba Services, Dyno Removalists is cut above the rest because we understand no two relocation needs are the same. That’s why we offer our clients customized relocation plans and solutions, along with the regular stuff. This gives you the freedom to pick a plan that suits your needs to the ‘t’. Our team consists of experience removalists Woolloongabba professionals, adept in all kinds of relocations, from home relocation to office relocation, local relocation to interstate relocation. In addition to an experienced, talented, and motivated team, we have under our wings state-of-the-art removal trucks and vans and specialized equipment. Thanks to a superlative combination of the latest equipment and talented removalists Woolloongabba, we find no relocation job too big, difficult, or complicated for us. Whether you want to move your household stuff to a different state or your office servers, computers, furniture, etc. to a new office in a different city, our removalists Woolloongabba professionals have the experience, expertise, and equipment to complete the job successfully, without any inconvenience to you. We understand how you value your belongings and take utmost care during the loading and unloading process to ensure they don’t suffer even tiniest of damage. Our removalists Woolloongabba team can handle both heavy stuff, as a pool table, and delicate items, like glass bookshelf with equal ease. For hassle-free relocation, get in touch with us because we do relocation better than others. When you contact us, you can rest assured that you will get exactly what you promise. We have no hidden charges and the quote we give you in the beginning is what we charge you, unless you add extra services. We give our customers full freedom to choose a moving date that suits their schedule. Our removalists Woolloongabba professionals work on all days of the year. If you are planning to move on a weekend or a holiday, you can count on us to be there to take good care of your stuff. 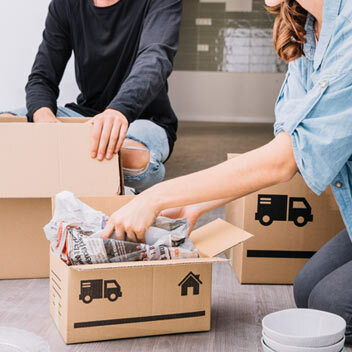 Our removals Woolloongabba team takes care all the steps involved in relocation from planning to packing, loading to delivering and unloading your stuff. We also provide eco-friendly cartons for packing in case you need them. We cover the whole length and breadth of Australia, so whether you are moving to Hobart, Canberra, Sydney or Woolloongabba or to any smaller city, our removals Woolloongabba team will efficiently and professionally move your stuff to your new location. House Removalists Woolloongabba – If you are moving houses and need an excellent removal service, look no further than us. We have the experience, expertise, manpower, and equipment to safely move your stuff to your new home, whether is down the street or at the other end of the country. Office Removalists Woolloongabba – Our removalists Woolloongabba team has years of office relocation experience. We can help you move your servers, electronic items, office furniture and other things. Furniture Removalists Woolloongabba – Relocating furniture is a specialized job and as such you should only let trained professionals touch your expensive furniture. Our removalists Woolloongabba professionals have been relocating furniture for years, so you can trust them to take great care of your furniture. Interstate Removalists Woolloongabba – We offer removal services all across Australia. Wherever you are relocating to, you can trust our removalists Woolloongabba professionals to deliver your stuff there. Piano Movers Woolloongabba – Our removalists can handle all kinds of pianos. You can count on us to move your piano to your new house. Pool Table Movers Woolloongabba – There are different types of pool tables, but our removalists Woolloongabba team has handled them all. We can move your pool table safely, whatever its make and size may be. Man with a Van Woolloongabba – If you are relocating just a few blocks away or need to move one or two items from one place to another, we offer you our man with a van service, which is among the best in the business. Top-class Customer Service – Dyno furniture movers Woolloongabba provide you with top-notch service. Whenever you contact us for a query or a problem, our staff will get back to you almost immediately with the necessary information. 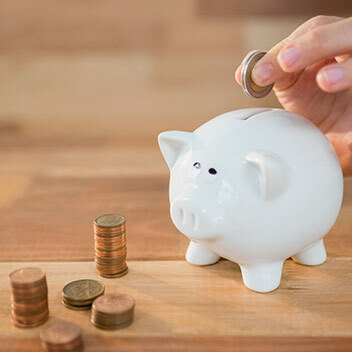 We don’t charge any hidden fees – Our furniture removalists Woolloongabba experts will provide you with a free quote, whether your job is a big one or small. You can rest assured that this is the exact price you will be charged when you contact us unless you use additional services. Unlike other furniture removalists, we charge you exactly what we quote—not a penny more. No extra fee for steep driveways – Dyno furniture removalists Woolloongabba team is always ready to walk the extra mile to serve you better. We don’t charge you anything extra for steep driveways or stairs. Full range of removal trucks and vans – Dyno furniture removalists Woolloongabba experts can handle all types of relocation jobs as we have under our wings a full range of removal trucks and vans. Trained, Experienced, & Committed Professionals – We have the best furniture removalists Woolloongabba professionals on our team. This is not something which only we say but also our customers. What separates us from the rest is a super-efficient moving process. Our movers Woolloongabba team expertly plans each stage of your relocation job to ensure your stuff is moved to the new location hassle-free. Initial Enquiry – Many customers find moving to a new place intimidating. If you are feeling the same, you don’t have to worry about anything because we have are there to assist you. Get in touch with us to discuss your requirements and our movers Woolloongabba experts will take care of the rest. Finalize the moving date – The next step is to finalize the moving date. Once you have received a free quote and decide to hire our movers Woolloongabba service, we request you to book the moving date with us. Moving your stuff – On the moving date, our removalists Woolloongabba team will reach your home at the agreed time. The foreman will update you about the day’s schedule. Next our removalists Woolloongabba experts will pack your stuff and load it for delivery. There are several reasons why Dyno cheap Removalists Woolloongabba are ranked as the best removalists Woolloongabba provider. Here are some of them. Professional Staff – We take great pains while hiring removalists Woolloongabba staff members because we want only the most trained and experienced professionals to handle your valuables and everyday stuff. Top-class service at a competitive price – There are many removalists in Woolloongabba who offer quality service, as there are removalists who offer affordable removal services. However, removal services that offer quality service at an affordable price are rare—Dyno cheap Removalist Woolloongabba is one such provider. If you want the best value for your money, our removal services are just what you need. Available on all days – Dyno cheap movers Woolloongabba works all days of the year. So whether you are changing houses during Christmas holidays or on a long weekend, we are there to help you.